Okay, first off, oops. 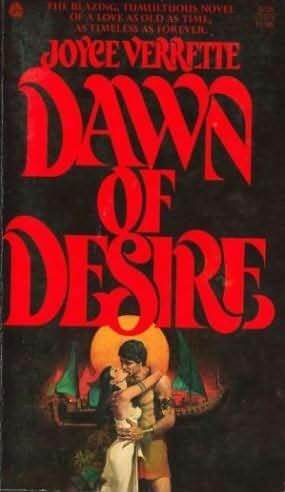 I had no idea that this Desert Fires was the sequel to this book and ended up reading that one first. Not my fault, I swear. The copies I have are 20 years old, battered, with missing covers. Plus, I can't find this author online anywhere, so I couldn't look the books up to find out if there was an order to them. I just grabbed one and read. You'd think, after all the words I devoted to complaining about the first book, there'd be nothing left to say about this book. I was hoping for that too. I was wrong. After her parents' death, Queen Nefrytaten finds herself threatened by all sides. The Hyksos raid her borders; the priesthood conspires against her. The only chance she has at keeping her throne is a marriage to Prince Amenemhet of the Upper Kingdom, uniting Egypt as one. Picking up a rant from the last review, what is up with the names the author's chosen to call the Egyptian gods? Why use unrecognizable names like Aset or Tehuti instead of more common ones like Isis and Thoth? Then you wouldn't need entries in the glossary in the back. Plus, if you choose to call Egypt by another name, I don't think you can then use "Egyptians" as a name for the people. What is so wrong with historical accuracy? Why is accuracy considered boring or not necessary in books like this? Nefrytaten couldn't have been Queen of the Lower Kingdom, marrying Amenemhet to unite the lands, because the kingdom was already united. Egypt was a unified single state by 3000 BCE, almost eleven-hundred years before Amenemhet ruled. Additionally, Amenemhet didn't inherit the Egyptian crown from his murdered parents. The most widely accepted version of facts is that he was a vizier who either usurped the crown from Mentuhotep IV or took power after his death. The characterization of both Nefytaten and Amenemhet in the first chapters is ridiculous. Why would either of them, queen and prince in their own right, ever expect they'd be able to marry for anything other than political reasons? I know I've said it before, but I hate when authors use this device simply because they feel that someone should complain, or because they'd complain in a similar situation. Things were different in the past, modern reactions really have no place there. This is supposed to be a romance novel, isn't it? Because the main characters meet, fall madly in love and are happily married at the 60 page mark. Then what's left for the rest of the book? A tired old amnesia storyline which wraps up with more than half the book left, and is followed by a poisoning storyline that sends Nefrytaten and Amenemhet off searching for a magical cure. I think the book would have benefited from slowing down the romance storyline, so that their falling in love was a slow and gradual process we could see develop through the chapters. Everything in the romance plotline was way too rushed. The author should have fired her editor, because the punctuation is atrocious in this book. There are periods instead of commas, cutting sentences off!